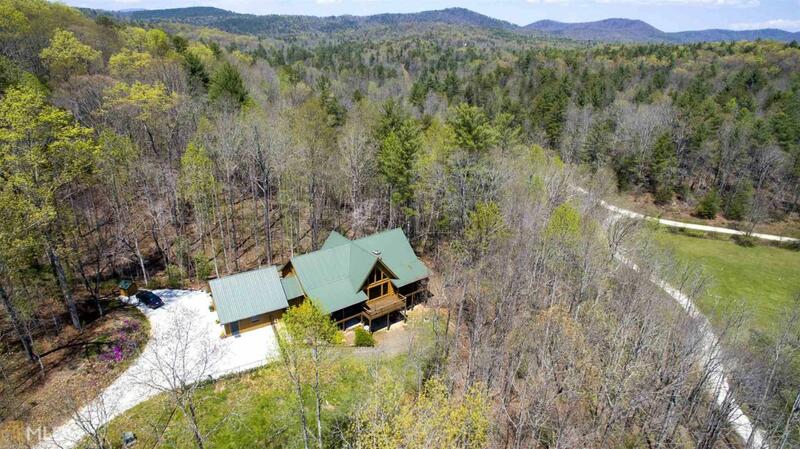 30+- acre Mountain Retreat with large custom log home, 3 (up to 6) stall stable, dressage area, mountain stream flowing along fenced pasture & beautiful forest. Located in the mountains of the South Carolina upstate near Rabun County, GA, Macon County, NC, Highlands, NC, the Chattooga River Wild - Scenic River & U.S. National Forest. An exceptional 4796 s.f. log home built in 2011. Meticulous care. Stunning great room with expanse of glass to the view overlooking the farm from the elevated home. Massive stacked stone chimney and gas logs. Exceptionally functional kitchen with hickory cabinets, granite, island and two level preparation areas. Loft office/den. Screened porches, deck with hot tub, lower level den, hobby/exercise room. More land available.